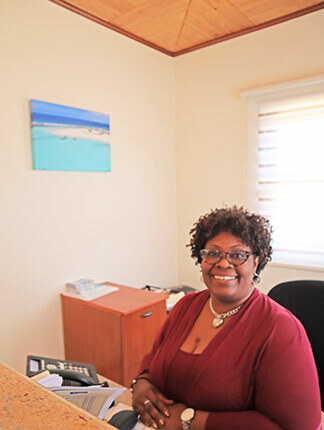 Owner of Island Dream Properties, Jackie has been our savior both with finding and securing our Anguilla villa rentals before we moved to Anguilla in 2008, and then when we bought our "piece of paradise." She is more than our real estate agent and go-to person for villa information. During a relaxing vacation to Anguilla (well before we moved to Anguilla), my Dad's favorite Anguilla real estate agent, Jackie Pascher, called to tell us about a new restaurant in town... Flavor's! She promised a great view, breeze, and food! She didn't have to ask twice. Before we knew it, our car pulled up to the freshly painted charming restaurant. Our stomachs were rumbling -- we couldn't wait to dine at this restaurant, new to Anguilla and new to us, with the #1 Anguilla real estate agent! We greeted Jackie and examined the lunch menu, while the breeze played with our hair. My mom and my sister ordered the roti, while Dad and I ordered the fish burger, Jackie choosing the spring rolls and salad. 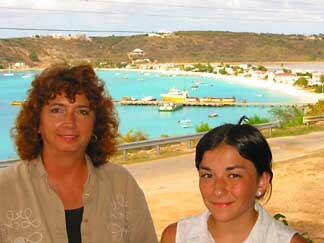 Once the waiter took our orders, we chatted with Jackie about Anguilla in general, and Anguilla realty in particular. 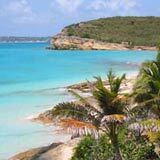 Before we moved to Anguilla in 2008, my dad ultimately wanted to winter here, so Jackie kept her eyes peeled for "that special piece of land." We recommend her to everyone we know. All the while, we enjoyed the cooling breeze and the spectacular view of Sandy Ground. We had been so busy talking and relaxing, that we had forgotten all about our food. But, once it was on our table, we didn't forget about it for much longer. 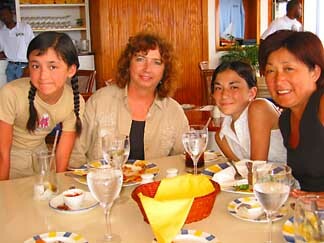 The food was excellent -- there are not many bad Anguilla restaurants! The roti was especially fantastic, according to my mom, sister (and father who snuck a little off of my sister). There was nothing like sitting up high, gazing at beautiful Sandy Ground and Sandy Island off in the distance, while eating a Tasty, err Flavors-ful, lunch. All in all, it was a beautiful lunch. Delicious food, great location, gentle breeze, with the #1 Anguilla real estate agent who became one of our closest family friends. 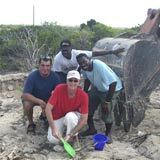 Jackie Pascher has remained a close family friend, and always our favorite Anguilla real estate agent. She was there for us during our Anguilla villa rental days, and she stood by my Dad's side when he was ready to buy Anguilla real estate. And she was there when we bought our special piece of land that we'd soon call home. 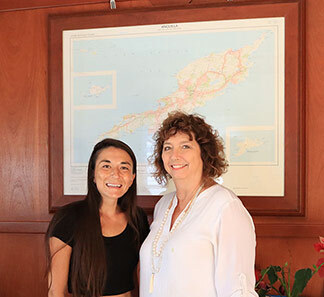 Since we first met Jackie, her company, Island Dream Properties has expanded to a full time-staff and a larger location, conveniently located in the West End. The office is located just after Grands Vins de France and Village Bakehouse if you are coming from the West End. ... And Found Everyone Hard At Work! Like Jackie, Patra and Diane are two of the sweetest souls you will meet. 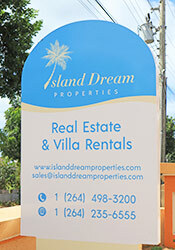 The whole Island Dream Properties team operates with care and passion. 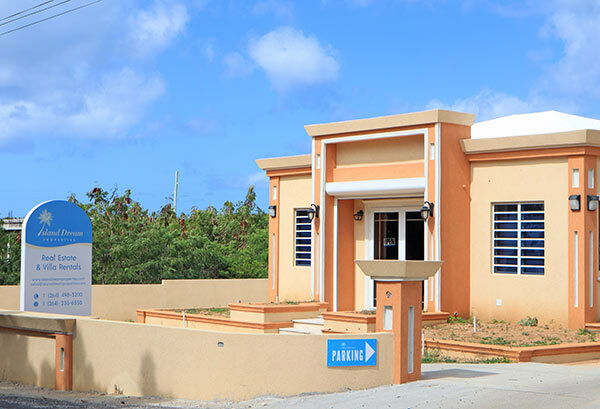 They have some of the top Anguilla villa listings and exclusive real estate listings, as well. It is always such a pleasure to pop in and see what's new at Island Dream Properties! Not wanting to be too disruptive during the work week, we caught up and made sure we made a lunch date with our favorite real estate agent for later. Jackie always knows where to go! Whenever I have lunch with her, I can't wait to do it again! 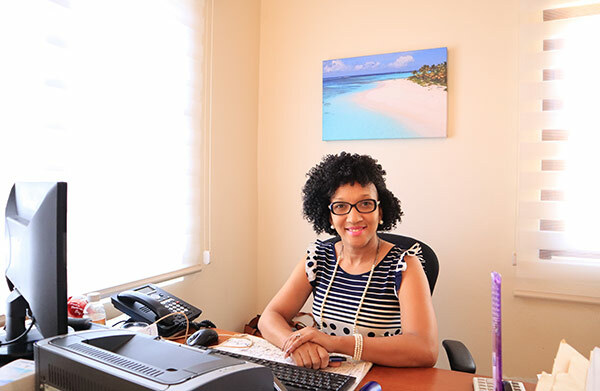 Jackie will make sure you are well taken care of and work with you to find the perfect spot to stay on the island, or property/home to purchase.